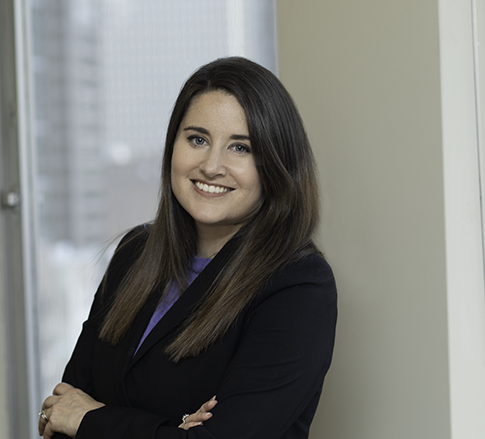 Leah R. LaFramboise is a Member practicing in the Energy and Oil & Gas industry groups, focusing primarily on mineral leasing and acquisition transactions. She practices out of the Firm's office in Pittsburgh, Pennsylvania. Leah counsels clients on transactional matters as they relate to oil and gas title issues and opinions. She also advises clients on matters involving oil and gas leasing and development, and renders title opinions. She provides due diligence for large lease and mineral acquisitions while managing client timelines and expectations. Leah's passion for this area of the law comes from her experience both in a law firm setting and at a large Exploration and Production Company handling corporate matters relating to lease and mineral acquisitions, performing title curative work and assisting with the preparation of oil and gas drilling units for operations. One can rest assured, if a question arises on real estate issues regarding oil, gas, and mineral ownership, Leah can answer it.